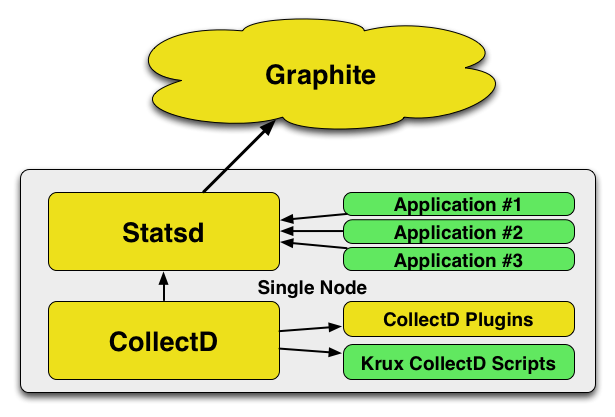 This entry was posted in Uncategorized and tagged graphite, infrastructure, Krux, metrics, Open Source, response time, statsd, Teaching, tricks, varnish by jiboumans. Bookmark the permalink. Excellent work, Jos! I saw your Puppet Camp Berlin presentation and you’ve made tooling an infrastructure for statistics seem effortless. Could you elaborate more about how collectd communicates with statsd in the first diagram? I’ve gotten collectd to write directly to graphite, but I’ve not tried relaying through statsd. The graphic and text say that collectd writes to statsd and statsd writes to graphite. How do you configure collectd to write to statsd??? Ping! Same question here. There’s a collectd plugin to *receive* data from statsd, but not to send. My conclusion was to skip statsd and have collectd send directly to graphite. This seems to be working fine. Still very curious how/why you put statsd in the middle. I hope this will be useful to you all! Cool! Can you explain why this is better than just sending from collectd to graphite directly? 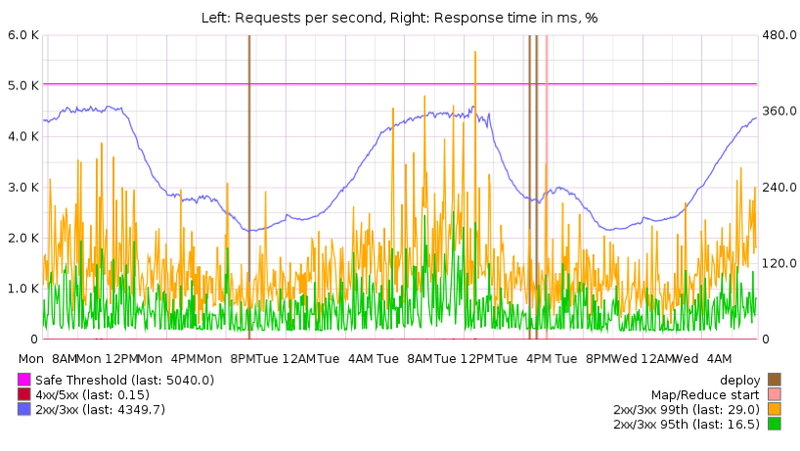 Something about the aggregation features statsd adds?